Germany moved a step towards resolving its political crisis on Friday (24 November) when the Social Democrats (SPD) said they were ready to hold talks with caretaker Chancellor Angela Merkel, in a sign they might offer the veteran leader their key support. Europe’s economic powerhouse has been mired in uncertainty since Merkel’s conservative bloc won a September 24 vote but without a clear majority, leaving it unclear whether it would be able to continue to rule. “We won’t be obstructionist for the sake of being obstructionist,” said SPD leader Martin Schulz, dropping his earlier categorical rejection to a governing alliance with Merkel. But he also cautioned that there was “no automatic path” to a solution — which could take the form of a new coalition, or of cooperating as Merkel runs a minority government — and that SPD rank-and-file members would have to approve any decision. The setbacks Merkel’s bloc suffered in the September election were in part due to the rise of the far-right, anti-immigration AfD which took millions of votes from all mainstream parties. Merkel has since the vote failed to find coalition partners to govern the EU’s largest economy for her fourth term. The centre-left SPD — Merkel’s former junior coalition allies — vowed to go into opposition immediately after the election in which they scored a dismal result. However, Merkel’s talks with two other parties, the left-leaning Greens and pro-business FDP, collapsed early this week when the FDP unilaterally pulled out. Merkel now faces few good options short of new elections: asking the SPD to enter a new “grand coalition”, or running a minority government, possibly with the Greens, and asking the SPD to cooperate on an issue-by-issue basis. 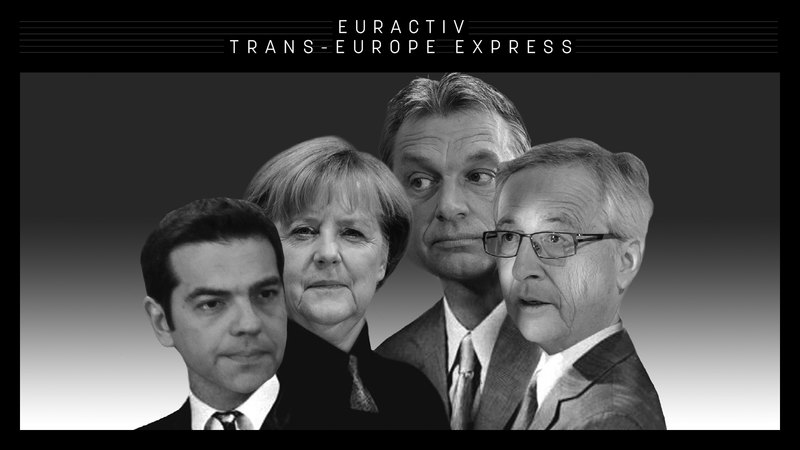 Trans-Europe Express: German coalition talks – Blessing or curse for Europe? Many saw the last German government as a tanker ship cruising stolidly and unswervingly through the stormy seas of world politics. But in the past few weeks, it has looked like the German ship and Captain Angela Merkel are about to start rolling and listing. Schulz had repeatedly rejected governing in Merkel’s shadow, but has now faced mounting pressure within his party ranks to rethink his stance, and help stop Germany from sinking into months of paralysis. “The SPD cannot behave like a child sulking in the corner,” said SPD Justice Minister Heiko Maas after his party Thursday held an eight-hour meeting late into the night. President Frank-Walter Steinmeier — who can call snap polls, and who is himself a senior Social Democrat — also turned up the heat, saying that this “is the moment when all participants need to reconsider their attitude”. Steinmeier met SPD leader Schulz on Thursday as part of a series of talks he is holding with all parties. Schulz said Friday in a televised statement that, although “Germany is not suffering a crisis of state, we are in a complicated situation”. The former president of the European Parliament said he had received many worried phone calls from other EU countries and told them that “the SPD is aware of its responsibility”, both toward its country and the continent. The SPD’s deputy chair Manuela Schwesig complained that the conservatives, Greens and FDP had left “a pile of broken glass” two months after the election, and that “we can’t be asked to pick up all the shards within two days”. Political scientist Oskar Niedermayer of Berlin’s Free University said “the two options now are for the SPD to join a grand coalition or to tolerate a conservative minority government”. 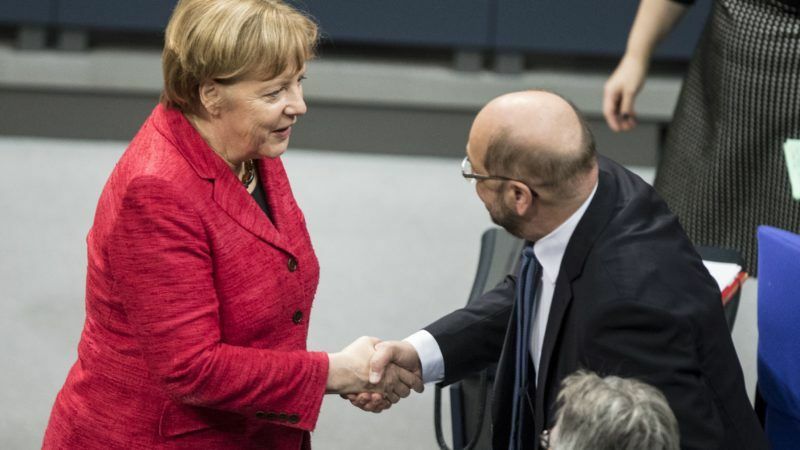 The SPD’s dilemma was that, after Schulz had repeatedly ruled out working with Merkel, any change of position could spell “a major credibility problem” for the party, Niedermayer told news channel NTV. 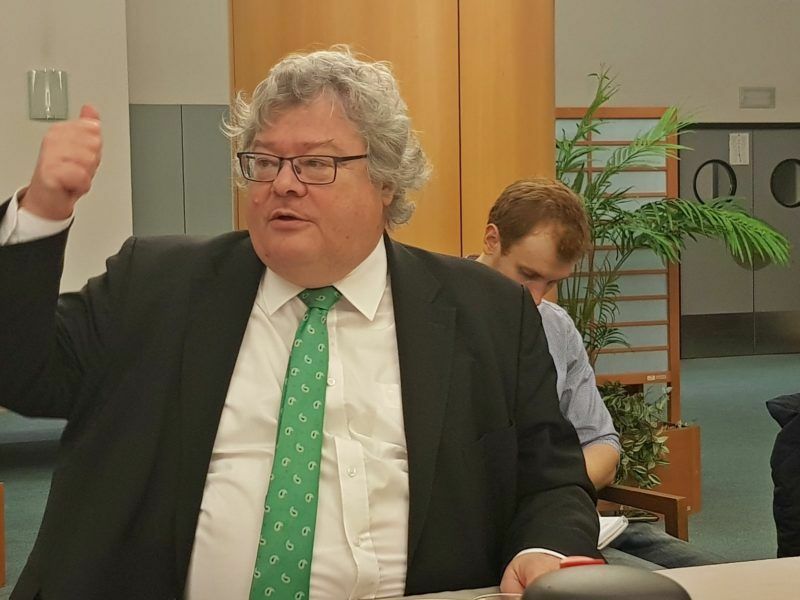 Germany’s failed coalition talks are hurting Europe’s reform agenda so Brussels and EU capitals should lean on the country’s political leaders to find an agreement and avoid another election, Green MEP Reinhard Bütikofer, who took part in the talks, said on Thursday (23 November).